This is a 14 day safari in Matetsi unit 2 near to Victoria Falls, Zimbabwe. The hunter on this safari may take other species on this hunt for trophy fee plus local taxes providing quota is available. 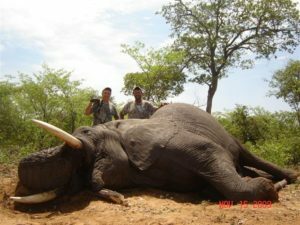 The hunter will take a wild mature bull male elephant in Matetsi- one of Zimbabwe’s premier hunting safari destinations.